With Hawthorn still firm favourites at $1.50 with Bookmaker.com.au there are enough reasons to suggest that the $2.60 on offer for the Swans is pretty generous. There is no doubt that the Hawks boast one of the best forward lines in the competition with Jarryd Roughead and Jack Gunston ready to pick up the slack in Franklin's absence. The Swans' on the other hand have some serious marking capability with their tall timber Kurt Tippett, Jesse White, Shane Mumford and Mike Pyke proving to be leaders in contested marks in the second half of the 2013 AFL season. Good form continues for the Swan's with Tippett's boot delivering 33 goals from his last ten games. No Franklin but good depth for the Hawks. Strong contestability and good forward fire power for the Swans - how does it all way up? It's been a reasonably tight affair when these two teams have met over the past few years. The Hawks lead the last 5 clashes by 3-2. For three of those games there was 2 or less goals the difference in the score. So does Franklin's absence on Friday do enough to tip things in the Swans favour? Interestingly Hawthorn has won 13 of the 14 games they have played without Franklin over the past three years however none of those were final series games. 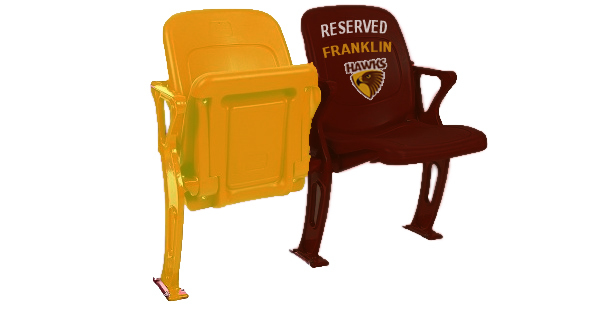 Based on last weekend's clash the Swans can draw a lot of promises in a game where Franklin was on the field. all this without 10 of their regular starting line up including Lewis Roberts-Thomson and Lewis Jetta who are expected to make a return this Friday. Overall a tough one to call but certainly the $1.50 going for the Hawks looks a bit thin when all things are considered. One thing is for sure it will be a cracker of an opening game for the 2013 AFL finals series. 2 NRL Final Series Wheel of Fortun..
1 Franklin suspension tips semi Sw..